The Weekly Photo Challenge got me thinking about letters this week. Since I am between big, huge, awesome, amazing trips – until I win a Linblad National Geographic expedition on Jeopardy – I am going to issue myself a challenge for this blog, For the next 26 weeks I will be posting photos daily based on letters of the alphabet. Starting today through Sunday with A. Could be anything that starts with A. Some will come from the archives, but I will also endeavor to shoot new photos. You can help by giving me ideas. What would you like to see that starts with A? Today we have ashrams. Having been immersed in the yoga community for the past five years as a teacher and the past three as a studio owner, I have haunted my fair share of ashrams. In these idyllic places spirituality oozes from the pores of the gurus and teachers and the very walls of the buildings. 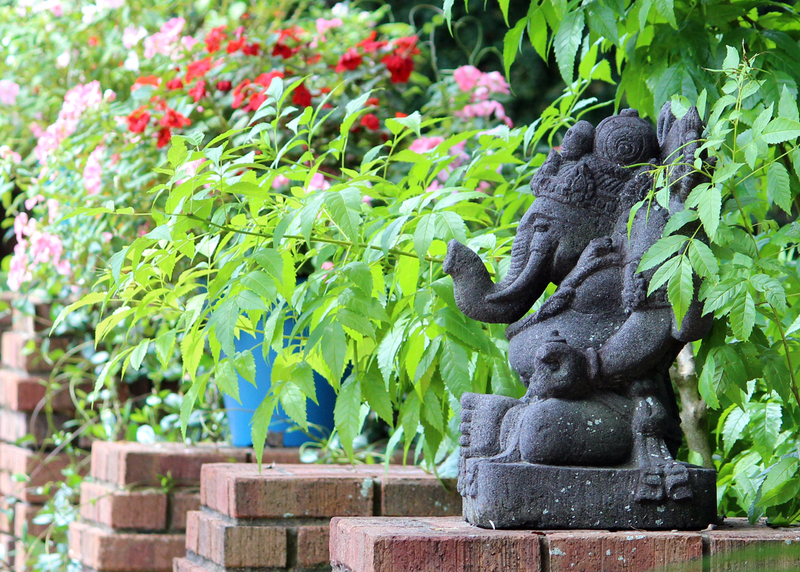 The grounds feel sacred and are often serene. But these are temples of transformation, where seekers may come for a workshop for a day, a teacher training for a week to a month or may live on the grounds for years working out their karma. Anything can come up creating a momentary unsettling – all in the name of personal growth. But there is no better place to grow. These are a few of my favorites from the US and India. Residents at Ramakrishna ashram in Chennai. A resident at Divine Life Society in Rishikesh. Ramsuratkumar ashram in Tiruvannamalai, India. Malav temple and ashram dedicated to Swami Kripalu in Gujarat, India. Malav ashram in Gujarat, India. Kayavarohan temple and ashram dedicated to Lakulish, Swami Kripalu’s guru. The guru’s private residence at Amrit Yoga Institute. Well I’m an Allison Andersen too, even though my name has different spelling, it’s still the same two names. I’m at the A is for ashram from that Ganesh statue you posted right now. Have been for…6 months now since the end of January this year. Good to see an Alison being awesome and traveling.